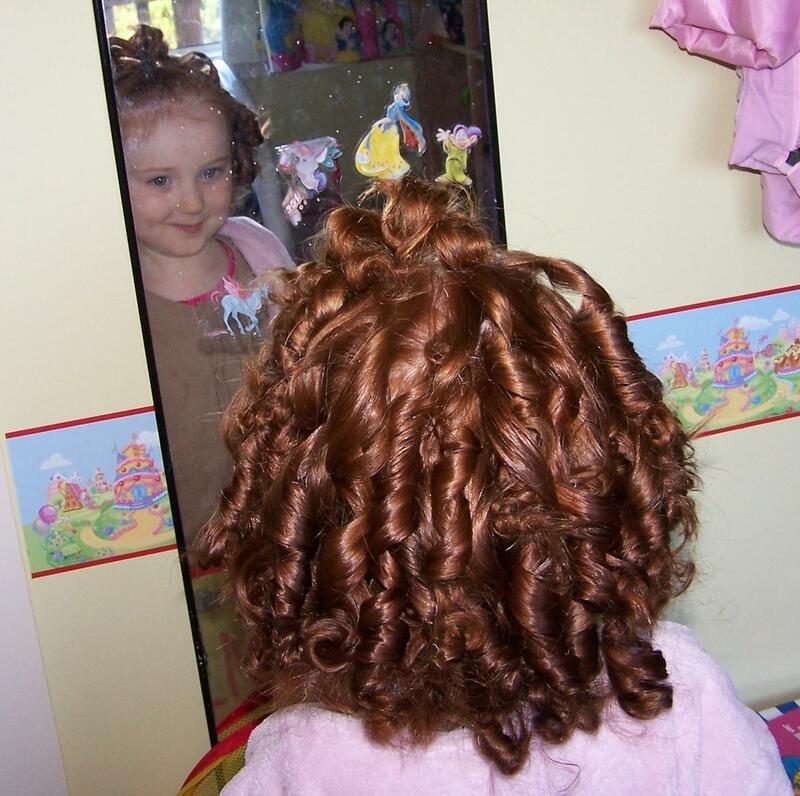 make a small ponytail with the front section of hair as this is how it is 'styled' for Irish dancing anyway - the curls won't get combed out tying it up afterwards. I cut up some fabric scraps, put on a DVD, and got started. I put hair mouse and hairspray in her hair before starting as well as a little bit after every layer or so. I ended up using 43 rags in her hair in total. I was a little shocked that the little miss sat nice and still for the half hour/45 minutes it took to roll up her hair. I was a little worried that there would be lots of screaming while I took all the rags out so I went nice and slowly and was as careful as possible. Fortunately there was only a complaint or two when I came across a few bits of a knotted hair.